This is a day that always brings tears to my eyes. Something that just doesn't see real in ways though I know it is. I can't believe how long ago it was. 16 years but still feels like yesterday. My heart still aches for this day. 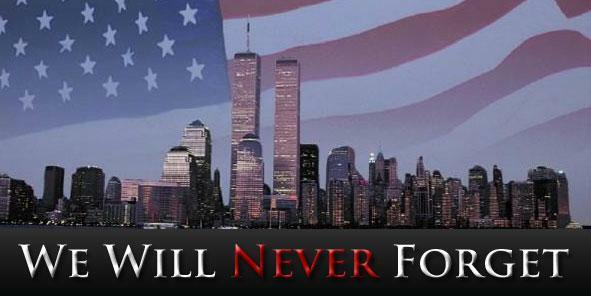 Today will always been a very somber day, I can't believe it has been 16 years. It feels like it was yesterday. It blows my mind that my youth kids & my nieces dont know anything about the day except what's on YouTube or what they hear others talk about. It's so ingrained in my mind... every detail. Such an awful day. Time lessens the pain but never heals the wound. Never forget. I was in 9th grade and will always remember the change in classes and walking into AP US History that day. This was definitely the day that changed everything. I was in college too and had an early class and watched the second plane hit in my Media Research class. The guy next to me said, "I bet it was that Bin Laden" I had never heard the name before. I will never forget this tragic day and the triumphant day we got him. I cannot believe it has been so long. I was in HS and I remember sitting and watching the news. It was terrifying. I can't believe it has been 16 years since then. I remember it so vividly too. So sad, but it is really important to reflect and remember! I will always remember where I was as well. Like you, a freshmen in college. I was walking back from my English class and it was eerily empty on campus. When I walked in to my dorm room my roommate was on the floor crying in front of the TV and I just stared in complete confusion for a few minutes trying to figure out what city was on TV with the plane crashing into the building like that. So surreal. And I didn't even think about it until I read your line.....that Zoe will be learning about this in history class one day. Something that we all lived through and remember like it was just yesterday. I'd love to pay a visit to ground zero ! It's on my list of a must do before I turn 60. It was a day that's impacted our lives forever and I spent some time yesterday in silence ! Just soaking in some quiet time and praying.